Genre this time is folk music with a Nordic sound and feel. I use a mix of traditional instruments, synth, and voice. The rhythm is slow (75 bpm) and strong but without heavy drum beating. A folky tune that would be great to grab each other in the hands and dance in a large circle. 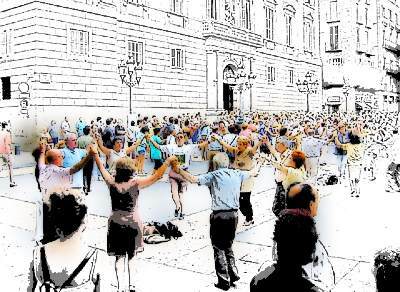 Like I experienced people doing in Barcelona when they dance the Sardana.